"God bless them for their spontaneity. It's independent ... it's young, it's spontaneous, and it's focused. And it's going to be effective." A Cuyahoga County Homeland Security operation called the Northeast Ohio Regional Fusion Center. An Interstate 480 bridge known as the Valley View bridge. But were unaware that the explosives they bought and planted were fake, provided by the FBI. These domestic terrorists were finally white and home grown as the Obama administration said was the biggest danger to the country, but unfortunately for Department of Homeland Security Secretary Janet Napolitano, they are leftists. And unfortunately for all the folks who praised the occupy movement in such glowing terms last year such as Time who gave them a "man of the year" credit... at least two of the people involved are leaders in the occupy movement. No word on whether Nancy Pelosi thinks this is young, spontaneous, focused, or effective. Certainly nothing about the movement up to this point has been, unless you define "young" as "hasn't been around very long." 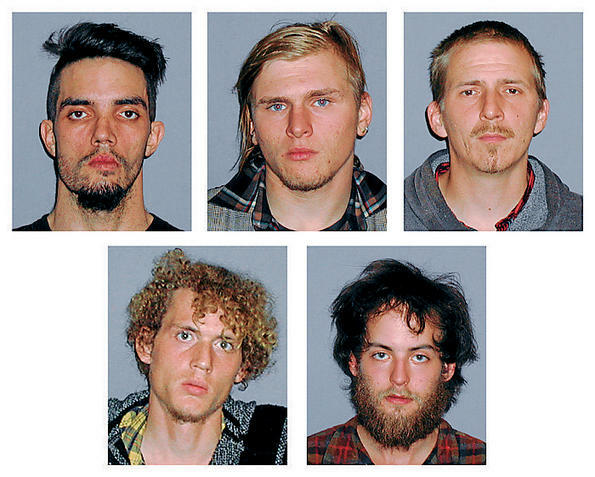 No word on whether President Obama still thinks these guys are why he ran for the presidency. But that Tea Party movement, dangerous extremists, huh? Gun toting freaks who you should fear, the left told us. Certainly a hotbed of domestic terrorism, according to Napolitano. And yeah, I'm gonna rub everyone's face in this like a bad puppy every single time something like this comes up, not out of bitterness for how the Tea Party movement is treated but to make a point about clueless bias and lack of discernment. 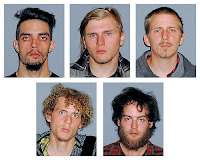 *UPDATE: its been confirmed: all five are occupy members.